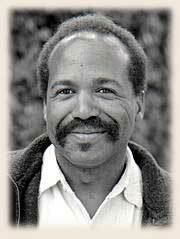 Leonard Diggs works his own organic farm and is also the farm manager of the Santa Rosa Junior College Shone Farm. He was the recipient of the Pedro Ilic Agriculture Award for Outstanding Farmer, 1996, and the Outstanding Young Farmer of the Year Award from the Sonoma County Harvest Fair, 1996. Diggs joked about how appropriate his name is for a farmer, then got down to more serious business. He stated that the urban recycling mantra is "reduce, reuse, recycle," but that in a consumption-based world where only new items are counted as part of the Gross National Product, it's hard to make reduction real. It's like we're all starring in a "B" movie, where we expect the hero in the white hat to come in and rescue us at the last moment. At this point, he believes we're looking to biotechnology to save us. revitalized vocational schools and apprenticeship programs that would teach young people to maintain first their homes and then their agricultural resources. Diggs closed by saying he wanted to use the saying "It takes a village to raise a child" and modify it to "It takes a community to maintain a farm." Mas Masumoto is an organic farmer in California's Central Valley. He is a grower spokesperson for the California Tree Fruit Growers Association and has served with the Raisin Advisory Board and the California Clean Growers Association. 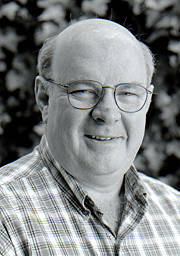 He was appointed to the California Council for the Humanities board in 1994 and now serves as its cochair. 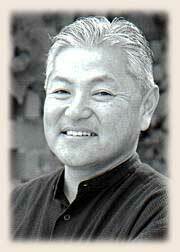 Masumoto is the author of Harvest Son and Epitaph for a Peach. Masumoto read an excerpt of what he had written in praise of the peaches he grows. And he emphasized there's only one way you can grow that type of peach: by farming slow. He said there is no way you can rush soil, community, diversity or water. Masumoto does not believe slow is inefficient. He savors his moments in the field, enjoying his work and reflections of his family farm. In contrast, he stated that industrial farming - fast farming - is based on viewing land as a commodity and depersonalizing those who work it. He does not believe fast is a natural part of the human rhythm. Masumoto said he uses his abilities as a writer to capture the "slow" stories from his farm and communicate them to the public. For example, pruning is slow, taking years to learn. Its lesson is about working with the past to shape the future. He believes that is what the conference is about. Good peaches embody sensibilities about food and the memory of how it should taste. He said that 90% of the population has never tasted a good peach, which he thinks is scary. Through stories he can convey an understanding for "the flavor of the land." He would like farming to be again looked on as an art. Masumoto pointed out he is not anti-technology but is only seeking a balance to the high speed of technology. Marty Strange is the former program director of the Center for Rural Affairs. He is a leader in the movement for social and economic justice and environmental reform in rural communities. He is the author of Family Farming: A New Economic Vision, one of the leading critiques of industrial agriculture. Strange believes that when personal responsibility becomes a political act, there is a great possibility for change. He used as an example Gandhi, who politicized the peasants of India by encouraging them to weave their own cloth, even though this was a function the British claimed the rights to. This became the emblem of independence in India. He added that he looks for the day when gardening is considered a political act in this country. Strange spoke about the problems of privatizing land and asked, "To whom do the fruits of the land belong?" He said economists used to ponder about what gives value. He personally believes the relationship between place, work, and consumption to be central to the issue of what gives value to land. High-yield farming is the name that has been given to the current industrial-type agriculture. But it also could be used to describe the agriculture the conference is about, which gives the returns for the labor and management to the farmer rather than to the suppliers of high- input technology. Also, this type of agriculture produces yields from the land by using the soil wisely. Strange believes that organic farming is becoming a system that is more about purity and premiums - and so is attractive to the industrial system - and less about soil health and stewardship. He feels the vision we need is one which changes the relationship between people and land and between producers and consumers.